MELASON in Legazpi, Albay... Lovers in Mayon ang dalawa! Hehehe! Today po ay nasa Legazpi, Albay sina Melai Cantiveros at Jason Francisco para sa show nila sa Pacific Mall mamayang 9pm. They are in Mayon rest house, at mega pasyal ang dalawa kanina. Nagpunta pa sila sa Cagsawa Ruins. Thanks to my dear friend Billet Sangalang for always keeping us updated sa whereabouts ng Melason. Mwah! Thank you for sharing Melason Photos to us. Nandito lang kami mga Melason lovers tudo support pa rin. Alam namin nasa Legaspi sila today. Updated kami lagi. aba aba aba!! !prang mg asawa lng ah...pkasal n ksi kayo!!! !as n now n!! super tnx mis darla 4 d pix...we reli appreciate 8..MELASON FTW!!! luv s n d air tlaga...njoy kayo jan ha esp medyo umuulan at malamig n ang panahon!! It's nice to see that they are slowly fulfilling their wishes na makapunta in different places together looking very very HAPPY!!! :) Thanks soo much Ms. Darla coz you never failed to feed us with KILIG updates about ou beloved MELASON!!! Love you Ms. Darla!!! Wow Mayon Resthouse!! SOSYAL!! Pang mayaman!!! SUPER KILIG MS. DARLA!!!! Mahal na mahal ka nmeng Melason Fans, MS. Darla!!! I agree!! Sana kasama nila si Baby Deng, Lovehug and Spongie!!!! WAAAAH NAKAKAKILIG tlga!!! nice view.. melason the best talaga!!!! walang kapantay ever!!!! wow ang ganda ng back round nila.happy to see them. thank you sa picture. 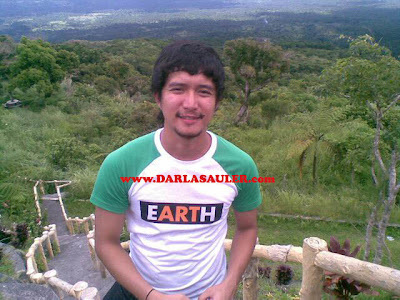 wow thank you sa picture ng melason ang ganda ng back round nila yong view ba. melasaon walang ka pantay talaga!!!! the best parin ever!!!! thank you Ms. Darla sa update. YOu're the BEST Ms. Darla!!!! :) LOVE LOVE MELASON!!!! Parang post card nga!! Ang cute cute tlga ng MELASON!!!! Ang galing galing tlga ng Melason sa IMPOSTOR!!!! Thanks Ms. Darla sa walang sawa mo sa pag bigay samin ng mga updates sa Melason!!! Mahal ka nmen Ms Darla!!! They look soo good also on their Bench Billboad!!! BONGGA!!! PAK!!! WAGI!!!!! LOVE THEM!!! jason ano p hinihintay mo??? pakasalan mo n c melai jan khit s huwes lng..hehe..
ur reli d best guys..ur my stess reliever..hoping 2 see u both soon..njoy life n showbiz!!! Petition for the Release of PBB Double Up DVD now has 315 signatures and counting!!! http://www.petitiononline.com/mod_perl/signed.cgi?pbbdvd3&1 !! Please help us in requesting management to relese a DVD of PBB Double Up!! We really missed MELASON LS moments inside PBB House!!! Pls Pls Help us Ms. Darla!! True!!! Mag propose ka na kay Isay, Sweetiepie Jason!!! KALAMI!! MELASON are our Happy Pill and our Happy Thought!! And they are each other's HAPPY ENDING!!!!! :) HAPPY E(nding) Melason!!!!! I wish and pray for your forever!!! You deserve nothing but the BEST!!!! WE LOVE YOU MELASON ALWAYS AND FOREVER!!! Bakit lagi nyo kami pinapakilig MELASON?? =) LOVE NAMIN KAYO FOREVER!!! Hindi kme magsasawa sa pag support sainyo forever and ever!!! Oo nga Ms. Darla!! Help us nman in requesting management for a PBB Double up DVD!!! =) Ang dami ng signatures, Ms. Darla!!! =) Madadagdagan at madadagdagan pa yan!!! Please please help us reach Star Records for a release of the PBB Double UP DVD copy!! Thank you so much!! sana my pix or upd8 mamaya c maam billet s show..hehe..demanding much??? thank you po ms. darla!!! Malapit na 4th monthsary nyo Melason!!!!! Keep the love strong our dear Melai and Jason!!! Mahal nmin kayo Melason NGAYON at MAGPAKAILANMAN!!! SOAR HIGH MELASON!!! So proud of all your achievements!!! Malayo layo na ang nararating nyo at super duper proud kami sainyong dalawa!! wow! sana mag-enjoy sila sa stay nila dun =) love love love melason! Tama!! Melason is LOVE LOVE LOVE!! OWVER INIIMAGINE KO NA YUNG "QUALITY TIME" NILA TOGETHER SA PAMAMASYAL NILA!!! K-A-L-A-M-I!!! Astig ng dating ni Sweetypie Jason!! Kagwapo!! At si Isay nya over over ka charming!! Yahoo!! Salamat talaga Melason dahil lagi nyo kami pinapasaya at pinapainlove pa ng todo todo sa pagiging totoo nyo at natural. wag kayong magbabago. isipin nyo lagi na mahal na mahal nmen kayo at hinding hindi nmen kayo papabayaan!! We always got your back, Melason!! What will we do without you MELASON?? You guys never fail to take our stress out and filled us with smiles and happy faces all the time. Thank you talaga Melai & Jason!! We're soo excited for the BENCH FASHION SHOW tom at MOA to watch MELASON!!!! 630 pm guys!!! See you there!!! wah! !bumalik n nman cla s mahiwagang legaspi???hmp!!! thank u s mga taga legaspi 4 loving our MELASON..huo nga pakasal n!! Melason super sweet sa Legaspi mall show nila!!!! WAAAH Kalami sa updates!!!! KILIG TLAGA KAYO MELASON!!! I missed the LS days in PBB watching you guys!! Best season ever ang PBB Double UP because of the both of you!!!! 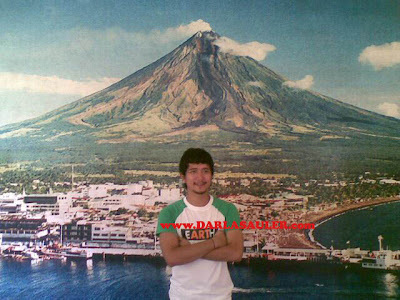 Enjoy your "vacation" at Legaspi Melason!!!! We love you!!! We'll see you at MOA tom for the Bench Fashion Show!!!!! Stay as Simple and as REAL as you are, Melason!! We loved you just the way you are!! Always keep and stay in love!! I'll never get tired of wishing and praying for your FOREVER!!! Cant wait to watch you guys on the BIG SCREEN SOOON!!!!!! =) EXCITED MUCH!!! YAHOO!!! HATS OFF TO MELASON!!!! napa humble nila kaya na be bless sila. go melason! love yah! Melason in Legaspi part 1 http:// www.youtube.com/watch?v=LmT22smM1hg part 2 http://www.youtube.com/watch?v=cJBZLy4C_Mk (credits to yanoandnanami)KILIG SOBRA SOBRA!!! People were screaming and singing with them!!!! It's very very touching to see them looking very happy by just simply being together!!! :) They are really loved by people all over the world wherever they may be!!! This is because they're NOT SUPERFICIAL but are just plain REAL and NATURAL!!! :) Very very wonderful individuals brought together by 1 show (PBB) and gave us a love story all of us been wishing to have. :) Their love story was a sweet and unexpected surprise to all of us. They made us all believed in FOREVER, in SOULMATES and in DESTINY. They made us all believed in True Love and Happy Endings. :) Thank you Melason!!! We'll always be there to support you 110%!!! COunt us in!!! Excited to see you Melai and Jason in MOA later for the BENCH FASHION SHOW!!! Talagang bumili pa kami ng items sa Bench just so we can get tickets to watch you live in MOA later!!!! WE LOVE YOU MELASON!!!! Bench is our new shopping store now because of you guys!!!!! Yey!! Yes yes!! Me too!! I now love BENCH because of Melason!! Weeeeeeee!! Excited for this week's episodes of Impostor coz Melason will be back!!! We'll see them again!!!!! Lalalalalalalaveeett!! Im hoping for a PHR of their OWN SOOON!!!! That's surely gonna be 1 big success!!! And oh, a MOVIE also of their OWN!!!! and a TELESERYE PLS!!!! =) GO GO GO MELASON!!! Legaspi people are wild!!!! People there super loves MELASON!!!! All of them chanting M-E-L-A-S-O-N!!! Melai and Jason's chemistry and charisma are really irresistible!! One of a kind!! You'll always find yourslves "kinikilig" whenever you see them on stage or on TV!! So proud to have been a MELASONIAN!!! go lng ng go melason!!! Melason had the LOUDEST CHEERS AND SCREAMS a while ago in MOA for the BENCH FASHION SHOW!!!! Waaaaaah!!!!!! That's how much they are SUPER LOVED by EVERYONE!!! Soo happy for them!!! We're literally crying while seeing them on stage!!! Super duper proud of what they have achieved!!!!! GO MELASON!!!!!! KEEP ON MAKING US PROUD!!!!!!! MELASON IN LEGAZPI 052910 (clearer and complete version via eabh786) A true testament that indeed they are truly the "Prince and Princess of the Masses!!" :) Love you Melai and Jason to the MAX!! Mariel and Zanjoe sa Z-cup yesterday! Kris Aquino, balik Kung Tayo'y Magkakalayo na! John Lloyd Cruz ♥s darlasauler.com! Mariel, Bianca and Toni : Friendship for REAL! Charice, bibinyagan at kukumpilan today! Bea at Gretchen... Magkaribal kay Derek Ramsay! Pauleen Luna, nililigawan nga ba ni JC Tiuseco? Ano na ang FUTURE ni KRIS AQUINO sa ABS-CBN? Si Popoy... Makikilala, bukas na! Si Mariz... Makikilala, bukas na! Si Devin... Makikilala, bukas na! Abangan ang isang malaking pagbabago! May 22! Robin Padilla or Willie Revillame sa Wowowee? KC Concepcion : SIMPLE... TOTOO... SOON! JC TIUSECO in Boracay right now for X-Life! Panawagan ni Noynoy Aquino sa sambayanan! Pahabol : I ♥ you too Aljur! Hihihi! Aljur Abrenica reveals his Kapamilya crushes!